Of South Africa’s twin coastlines, the east coast draws a much higher percentage of overseas visitors. They are attracted by the relative warmth of the Indian Ocean; by the surf breaks of Durban and the stunning scenery of the more southerly Garden Route. However, the country’s west coast has much to offer the more intrepid traveler. 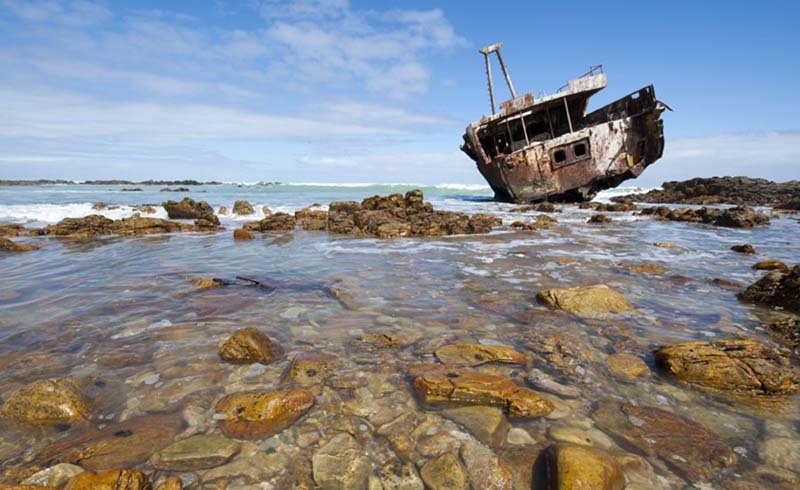 The jewel of South Africa’s Atlantic shore is the Cape West Coast, an untamed region that stretches all the way from Cape Town in the south to the border of the arid Northern Cape province. Here, miles and miles of pristine beaches vie for space with sleepy fishing villages, bespoke wineries and nature reserves filled with riotous wildflowers. 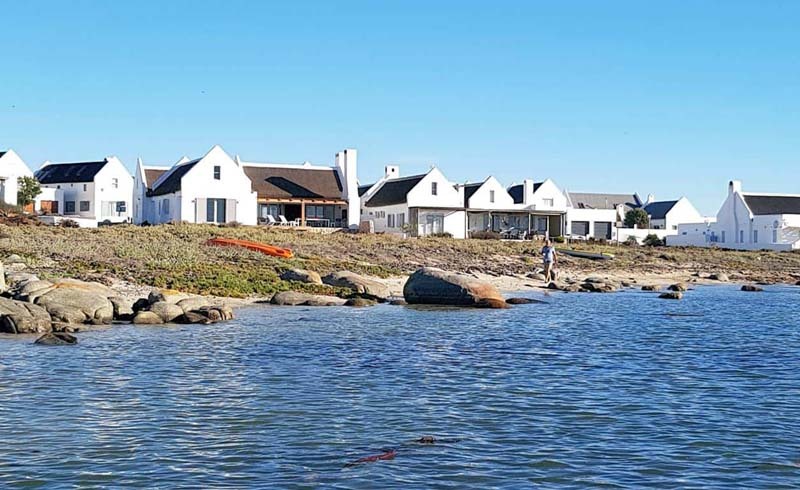 Much of the Cape West Coast’s charm revolves around its fishing villages, which dot the shoreline at random and house scenic guesthouses from which to explore the surrounding area. Many of them have had their historic authenticity preserved by building restrictions, so that their whitewashed cottages look much the same as they have for decades. The most famous of these villages is Paternoster, a popular retreat known for its brightly painted fishing boats and exceptional seafood. Amongst its many restaurants, the Noisy Oyster and Gaaitjie are the most highly esteemed. 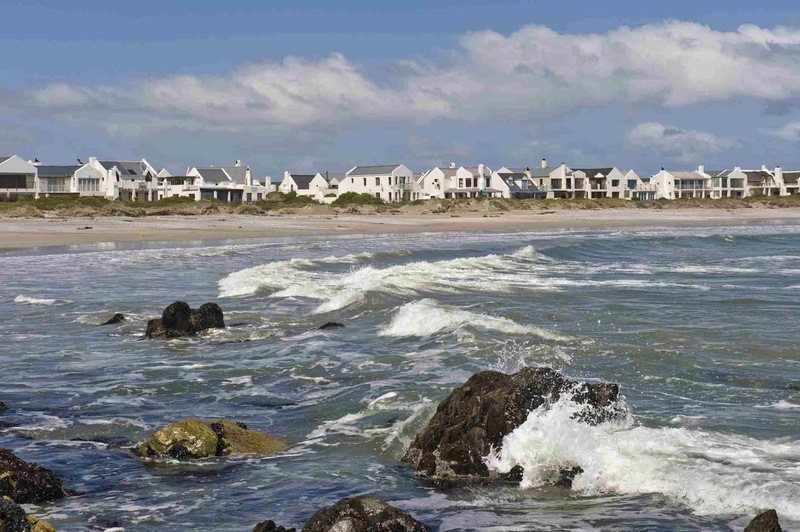 In summer, escape the crowds at Paternoster with a visit to nearby Jacobsbaai, a smaller settlement spread out across seven individual bays - which together provide excellent opportunities for surfing, fishing and relaxing on the beach. 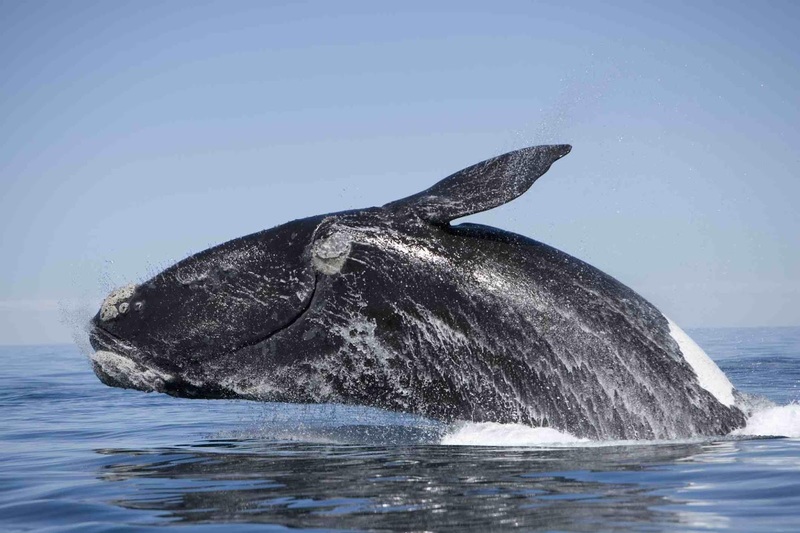 The nutrient-rich waters of the Atlantic Ocean attract many different cetacean species to the shores of the Cape West Coast. Every year between June and December, two species in particular pass through on their migration to and from Antarctica. These are the humpback and southern right whales, and both can easily be spotted from the shore in season. One of the best places to do so is from the viewpoints in Yzerfontein; or in St. Helena Bay. Rumor has it that even out-of-season travelers may be able to spot these giant leviathans at St. Helena, where a few individuals have chosen to remain all year round. Bryde’s whales can also be spotted along the Cape Whale Coast, while dolphin species include the common dolphin, the dusky dolphin and the Heaviside’s dolphin. The latter is found exclusively in western South Africa and Namibia. The region’s birdlife is just as impressive. The first stop for birdwatchers should be the Langebaan Lagoon, a RAMSAR site included in the West Coast National Park. According to BirdLife South Africa, the lagoon is the country’s most important wetland for wading birds, while other exciting species include the African marsh harrier, the African rail and the red-chested flufftail. Rocherpan Nature Reserve is another excellent spot. As well as being an important breeding ground for the Cape shoveller, it’s home to 183 different species including the greater and lesser flamingo. For seabirds, book a trip to Bird Island Nature Reserve. 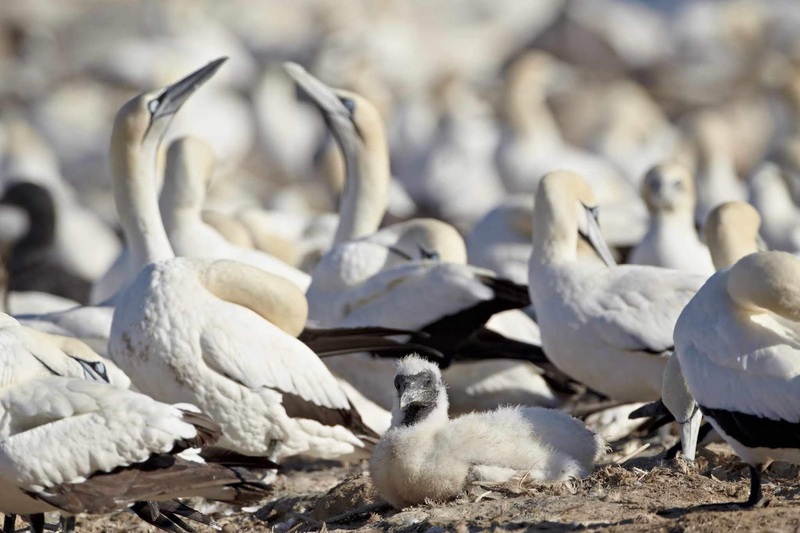 Located just offshore from Lambert’s Bay, it’s one of only six worldwide breeding sites for the beautiful Cape gannet, and offers the chance to see African penguins as well. Every spring, the Cape West Coast is host to an incredible natural phenomenon — the sudden blooming of millions of wildflowers. These blooms occur at the end of the winter rains, and last for just a few weeks. They’re hard to predict and easy to miss — but if you get your timing right, the spectacle is one that you’ll never forget. 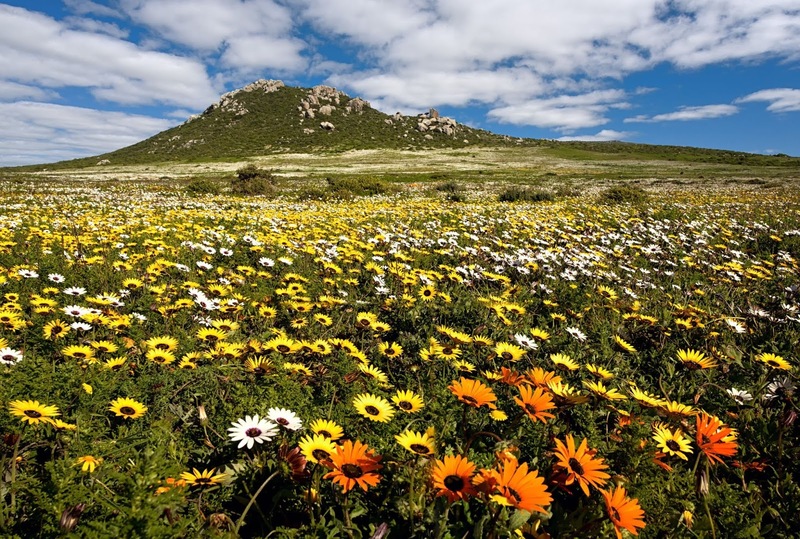 One of the most popular viewing spots is Postberg Flower Reserve, a section of the West Coast National Park that is only open to visitors during the August to September blooming season. Here, daisy species in yellow, purple, gold and white create carpets interspersed with beautiful blue Heliophila coronopifolia. The interior village of Darling is another great wildflower destination thanks to nearby reserves like Waylands and Groenekloof. The best way to soak up the Cape West Coast scenery is, of course, on foot. The West Coast National Park has several walks and trails to choose from, ranging from a short 4.5 kilometer hike to a scenic view point; to the 2.5 day Eve’s Trail. The latter follows in the steps of a prehistoric woman whose rock-preserved footprints were discovered in the park in 1995 and date back 117,000 years. Within the park, it’s possible to see resident wildlife including ostriches, foxes and antelope. 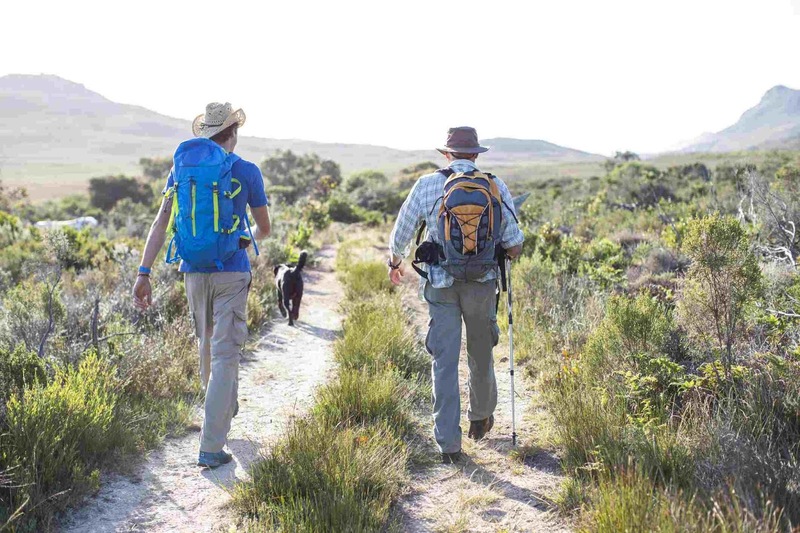 An alternative option for laid-back hikers is The Darling Stagger, a 20 kilometer guided trail that takes in the San cultural sites, vineyards and olive farms around Darling. Accommodation is provided by local guesthouses, while the 2.5 day schedule allows plenty of time to stop at the area’s gourmet restaurants and bars. 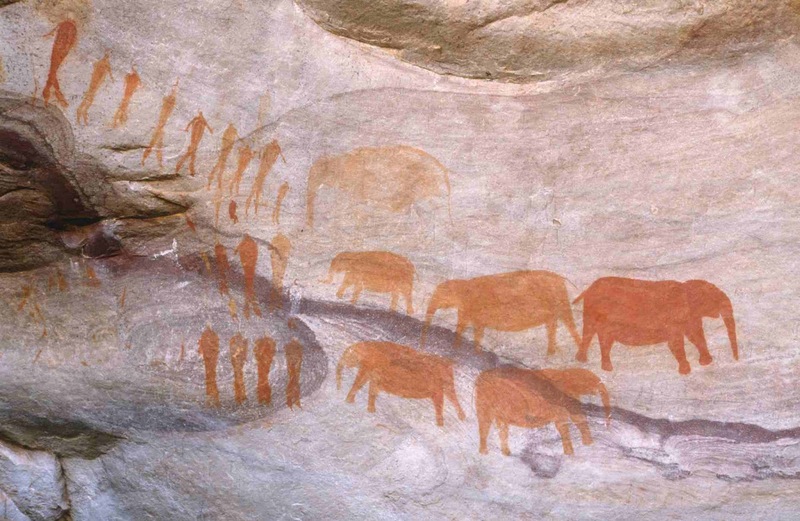 Eve is not the only prehistoric resident to have left her mark upon the Cape West Coast. Pay a visit to the West Coast Fossil Park (located 15 minutes from Langebaan) to discover the remnants of the animals that lived here during the early Pliocene epoch. These include sabre-tooth cats, African bears and short-necked giraffes. Alternatively, the Darling Museum provides an insight into the village’s Victorian origins and famous butter-making heritage. The surrounding area is also steeped in San culture. Descendants of this ancient tribe explain their ancestors’ history and way of life at the !Khwa ttu San Culture and Education Centre, while the West Coast Rock Art Route showcases the region’s San cave paintings. The best of these are found deep within the neighboring Cedarberg mountains. 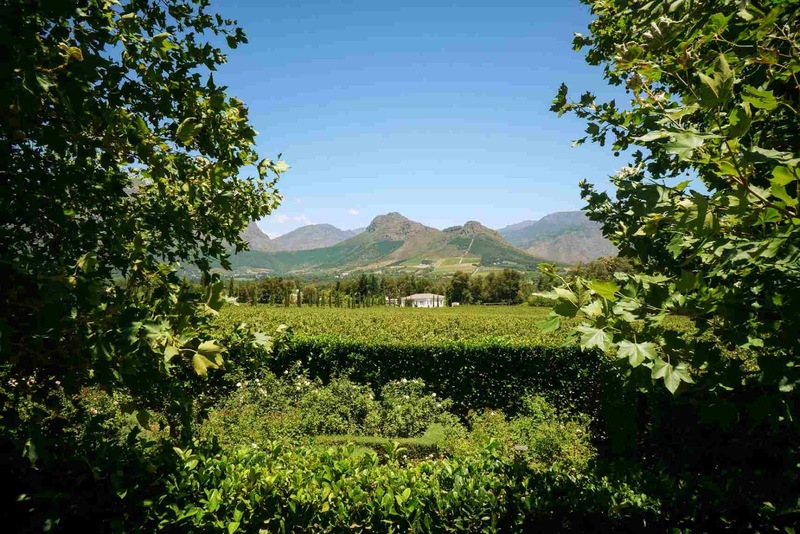 The Cape West Coast is home to some exemplary wineries. For a truly eclectic selection, head to the Olifants River Valley — the northernmost wine region in the Western Cape province. Here, you’ll find major cellars like Namaqua Wines and Lutzville Vineyards, both of which are amongst the largest in the country. You’ll also find award-winning boutique vineyards, many of which are available for touring by appointment only. The focus at farms like these is on traditional wine-making methods — and at Seal Breeze Wines, the vintages are made exclusively by hand with only 2,000 bottles produced from each cultivar. They can only be purchased on-site. Stellar Winery is also located in this area, and is the largest producer of organic, fair trade wines in South Africa.